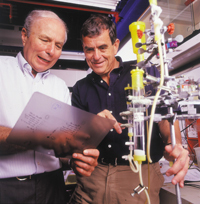 Since its founding in 1924, the Technion has made life-changing advances in energy, medicine, and security technology. Recent breakthroughs in cancer treatment and environmentally friendly batteries could change Israel and the world forever. But this research is not carried out over weeks and months. It takes years—sometimes decades—to bring this work to fruition and to implement the advances that will secure Israel’s future economy and defense. Please complete the form below to become a monthly or annual donor to support the long-term work of the Technion’s doctors, physicists, engineers, and scientists. Contributions made to the American Technion Society are tax deductible and no benefit was provided. Please consult your tax advisor.